Thursday morning started out pretty normal. Up at the crack of dawn, quick get ready to go work-out. I was spending quality time with the elliptical at my local LA Fitness when my iPhone rang out–ooooops, forgot to silence it. Well, since it dinged…..I clicked open my email. Yes. I totally almost fell off my elliptical. Okay, so, with shaking fingers, me trying NOT to fall, and resisting the urge to start hyperventilating I open the message. 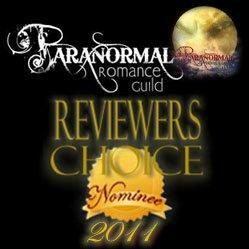 Turns out the Paranormal Romance Guild’s reviewers get together and pick their favorite reads over the past year. Then they put them out there for the READERS to vote on. Now, I know it sounds corny, but I truly am honored just to be nominated. I mean, look at the other nominees? HOLY COW. Yep, just CLICK HERE and you’ll be at their website. Feel free to spread the word, too. Thanks for your support, everyone. You guys ROCK! This entry was posted in Uncategorized and tagged Catch the Rush, Crescent Moon Press, Lynn Rush, Paranormal Romance, Paranormal Romance Guild, PRG, Urban Fantasy, Wasteland, Wasteland by Lynn Rush. Bookmark the permalink. Congratulations! It is SO deserved!!! Lynn, that is awesome! I’ll go vote.